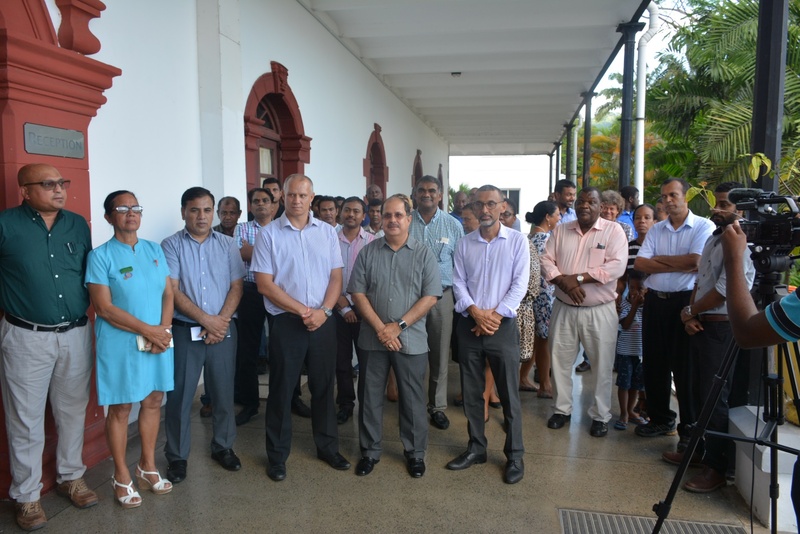 Speaking at the event, High Commissioner said: “this is yet another humble contribution from India to its close friend Seychelles to address its imminent issues at responding to emergency situations and to save the lives of thousands of Seychellois.” “Health, being part of the foundation of the economic and social development of a country, has always been one of the main focuses of the Government of India in its Development Partnership Assistance to Seychelles”, he added. 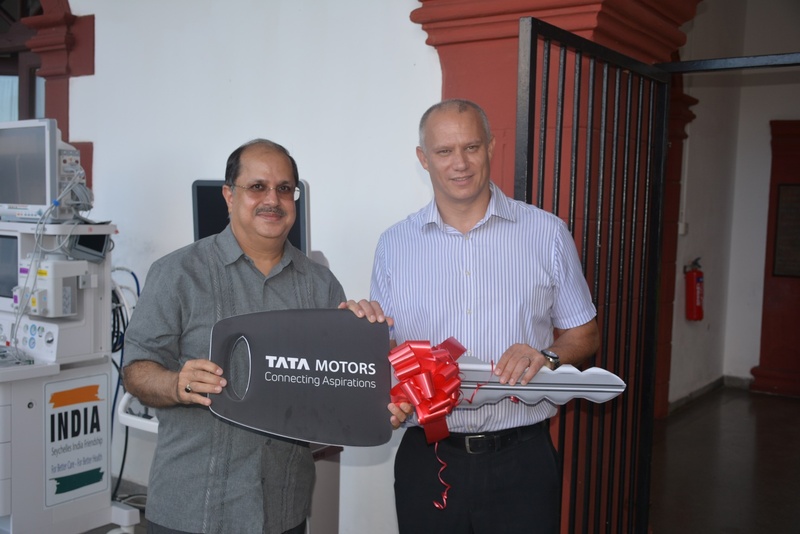 The medical equipment would be distributed across all the hospitals in Mahé, Praslin and La Digue. 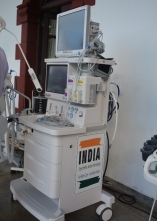 42 different type of equipment with a total quantity of 378 equipment have been supplied from eight different countries through Project Management Consultant HLL Infratech Services Ltd (HITES), a wholly owned subsidiary of HLL Lifecare Limited, which is a Government of India Enterprise under the Ministry of Health & Family Welfare. 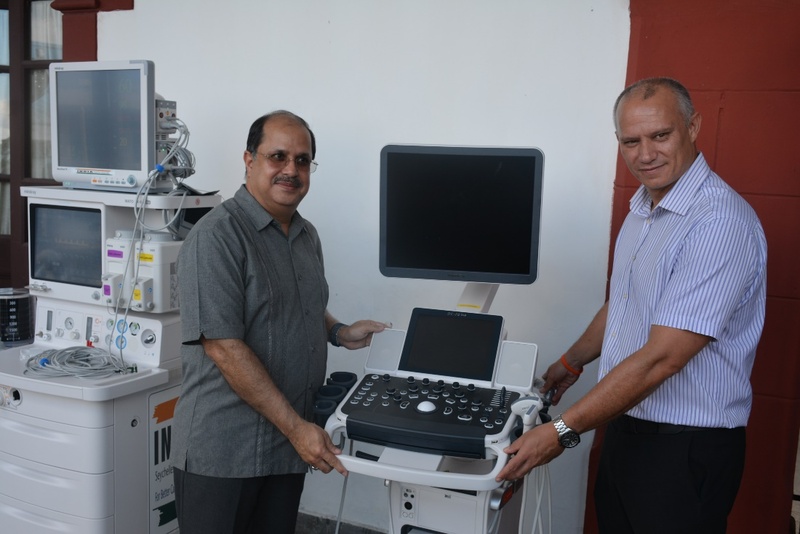 This equipment was procured based upon the 50 types of disease pattern prevailing in Seychelles. 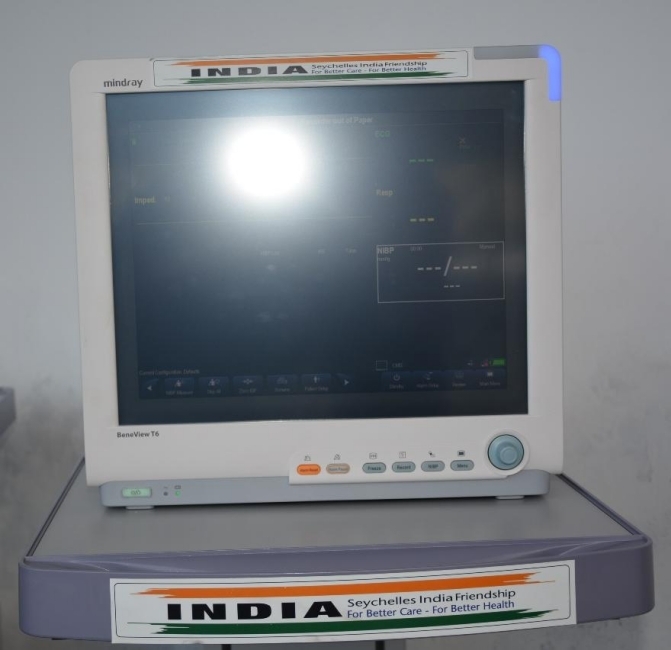 The focus of the equipment would be in the field of cardiology, cancer, Neurology, Trauma, General Medicine, lab medicine, paediatrics, Gastroenterology, Radiology, Gynaecology and Hepatology CSSD. 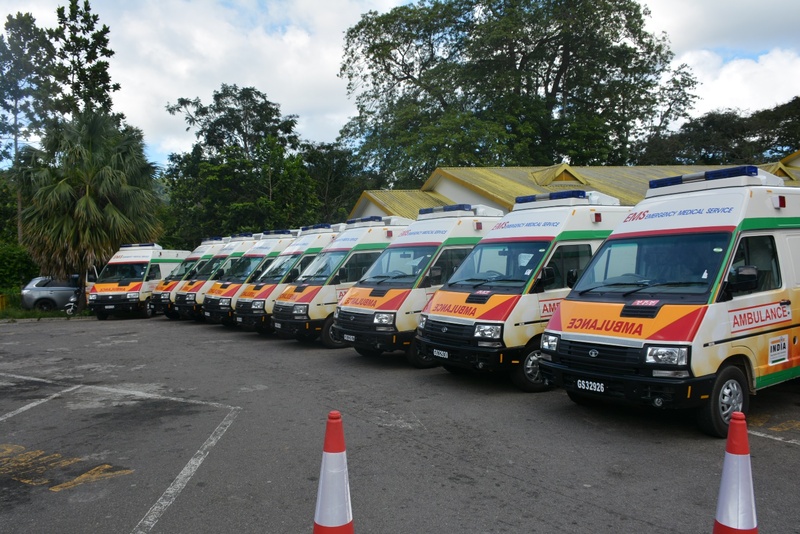 The 10 Ambulances which were donated as part of this project, will be spread across Mahé, with 8 going for the health centres across Mahe and 1 each in Praslin and La Digue. 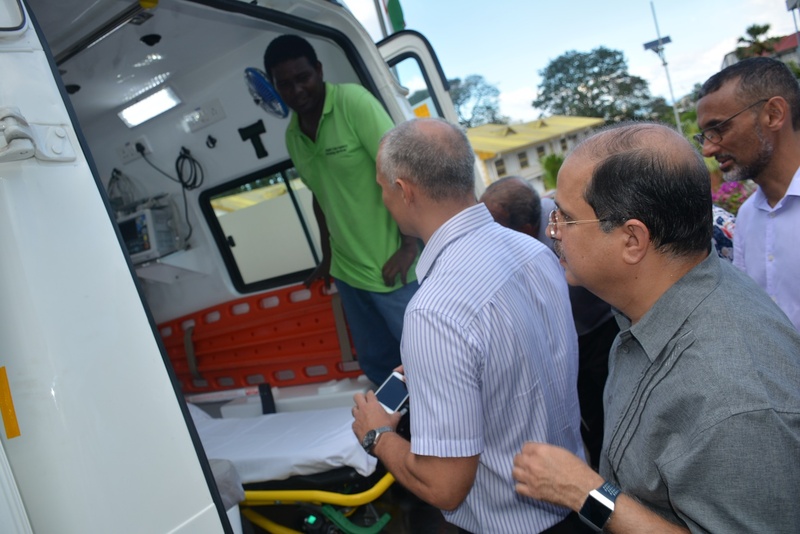 It is very interesting to note that it is first time in the history of La Digue that an Ambulance would be positioned in La Digue Hospital, which will also drastically improve the health care situation in one another inner island. 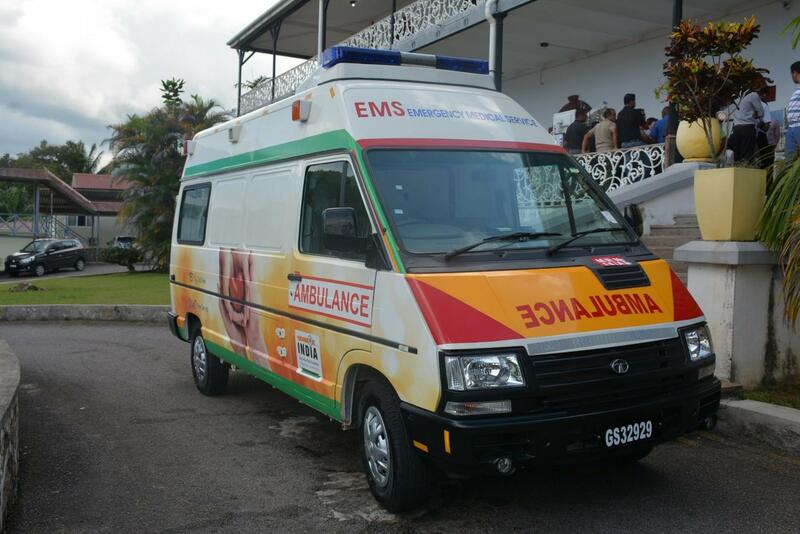 Enough Room for Hospital on Wheels with maximum safety and comfort in the patient compartment. Unmatched design – Ergonomically designed to maximize interior space. Radial tyres ensure a bump-free ride which again ensures 100% comfort for the patient. 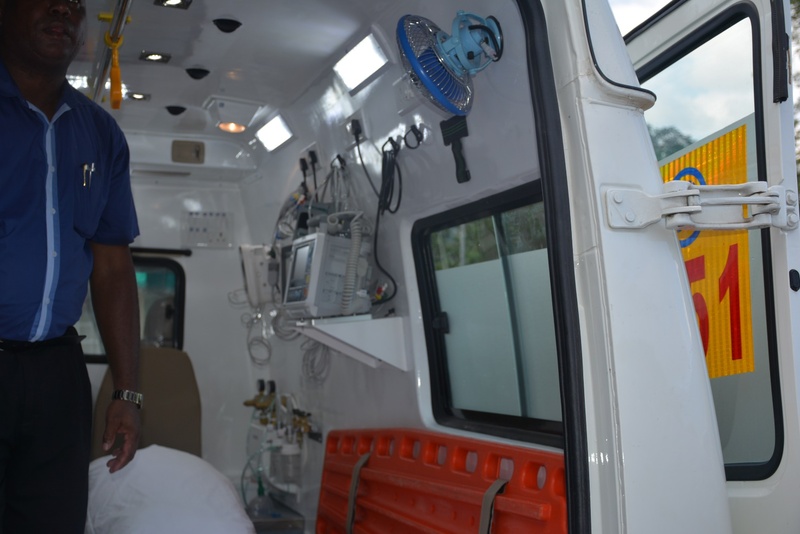 All other Critical Care Unit (CCU) infrastructure modelled ergonomically within the patient space available within the Ambulances. 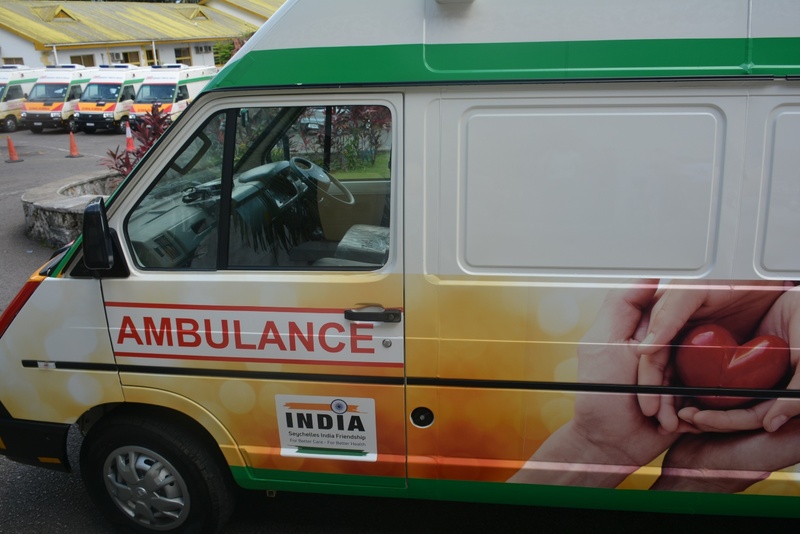 This project is particularly unique because these ambulances would mostly serve those in a very critical condition when the availability of an ambulance and rapid response could mean the difference between life and death. 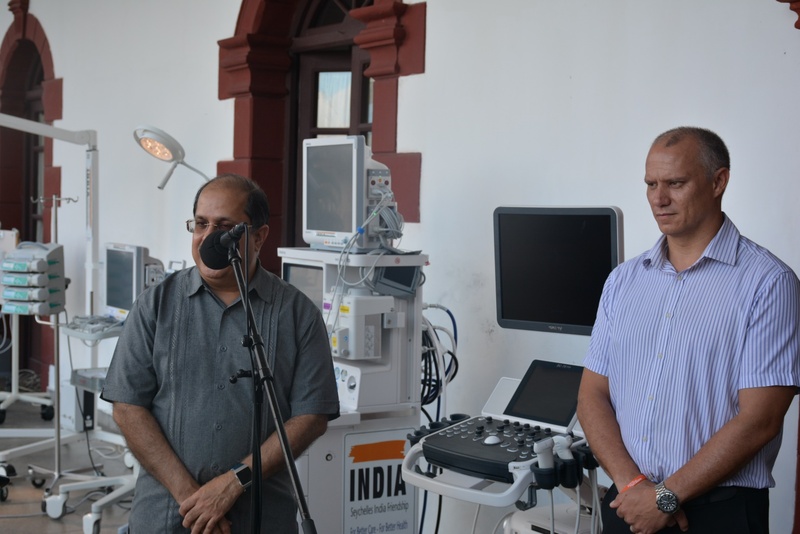 Receiving the medical equipment and the Ambulances, the Hon’ble Minister of Health stated that the collaboration and cooperation of Seychelles with the Government of India is robust in the health care sector and some of the other initiatives like Health Information System (HIS) and Super-Specialty Hospital, both of which are planned to be taken up under India’s Concessional Line of Credit mechanism will help realize the final goal of extensive coverage of health services and will support the development of an inclusive and robust medical health system in Seychelles.